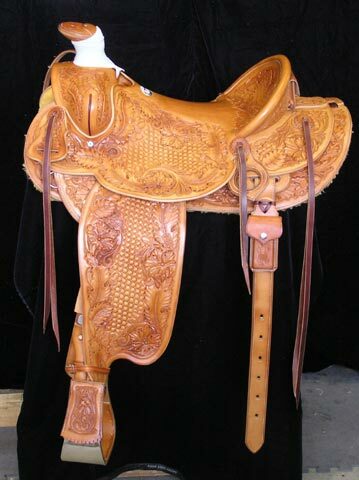 This is another great saddle built on the Will James Tree. Just a real good cowboy saddle. Built for long days and hard work. Combination basket and floral carving adds a little polish to a hard-working saddle.